These little cuties came down from Columbus for a Summer Session with me here in Cincinnati! I know their mommy from High School where we cheered together and caused a ruckus with our other Cheer Pals. I remember all of the fun like it was yesterday! 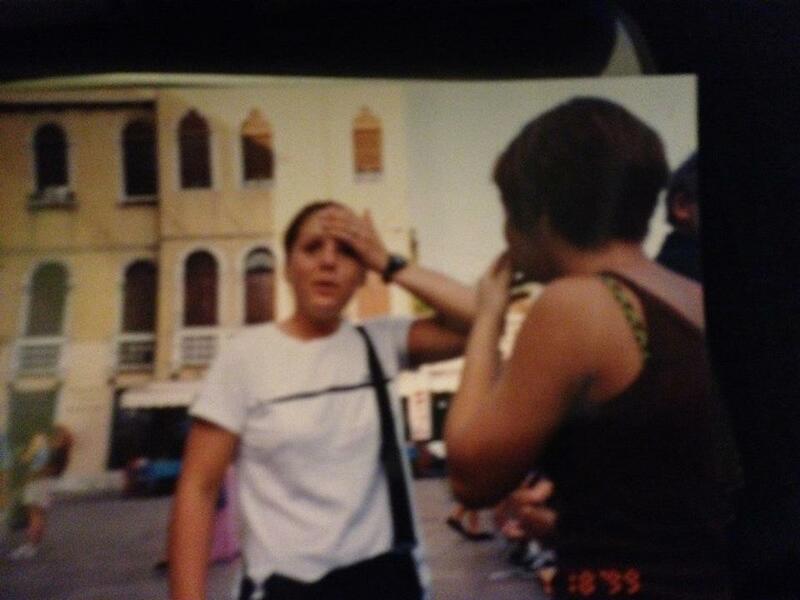 The last time I saw Mom in person though (thanks Facebook for keeping us all so close and up to date these days) was in Venice, Italy in 1999. What was so amazing about the last time I saw her was that it wasn't planned! See Allison was stationed overseas and I hadn't talked to her since High School, let's say in 1995, when she graduated. I was in Italy for the Summer studying and visiting family and we decided to take a trip to Venice on a Sunday. It was going to be so much fun. However, my friends and I were on a 1:00 train from Florence and didn't realize, until we were halfway there, that the last train out of Venice was at 7:00. That wouldn't be nearly enough time to see the sights and experience Venice the way we wanted to. It was also the middle of Summer and we didn't bring a change of clothes. But we decided to get a hotel room, stay the night, and leave instead the next day. It was such a great idea because there was a huge fireworks display that night on the banks of the Arno celebrating one of the churches and we really got to experience the culture of the city. So we were beat, we were sweaty and stinky, and we were ready to get back to Florence the next morning. We plopped down on some steps outside the train station to wait for our trains arrival in a few hours because our feet were done. Low and behold I hear "Natalie? !, Oh my gawdddd!" I looked up and there she was! Randomly in Venice with friends for the day! My cousin was with me and had her trusty disposable camera out and snapped the interaction as it happened! So cool! I posted the photos at the end of this post if you'd like to see. It was such an amazing memory that we still talk about to this day! I can't believe we have pictures to remember it! Ok so on to seeing each other again for the first time in person in OMG 19 years!!! Almost to the day at that! I got to hug her again and meet her 3 beautiful children and play in the park with them! Dad couldn't make it but I was able to sneak mom in for some of the fun! 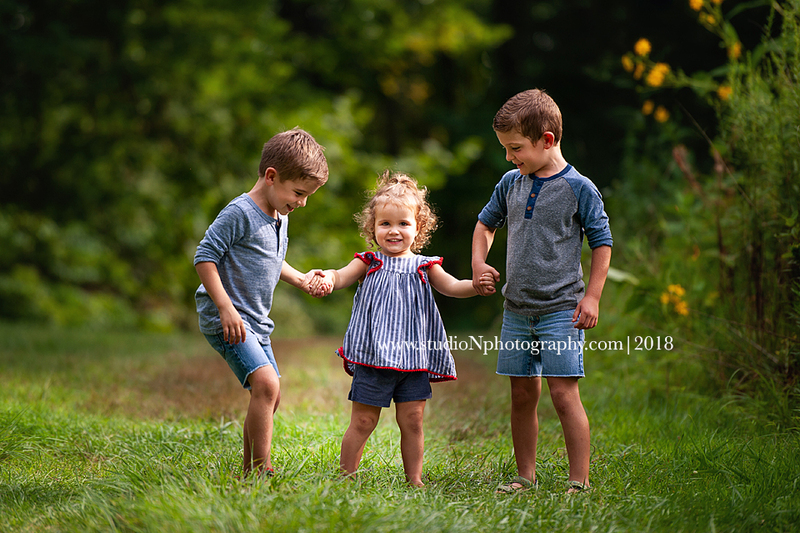 These kids are adorable and I am so thankful she asked me to capture their portraits! I made sure to tell mom to bring snacks for the kids for after the long drive and they were chowing down on these plums. Look at this baby's eyes! LOVE! Thanks so much for coming down and catching up! You don't look a day older than the last time I saw you and exactly the way I remember you! 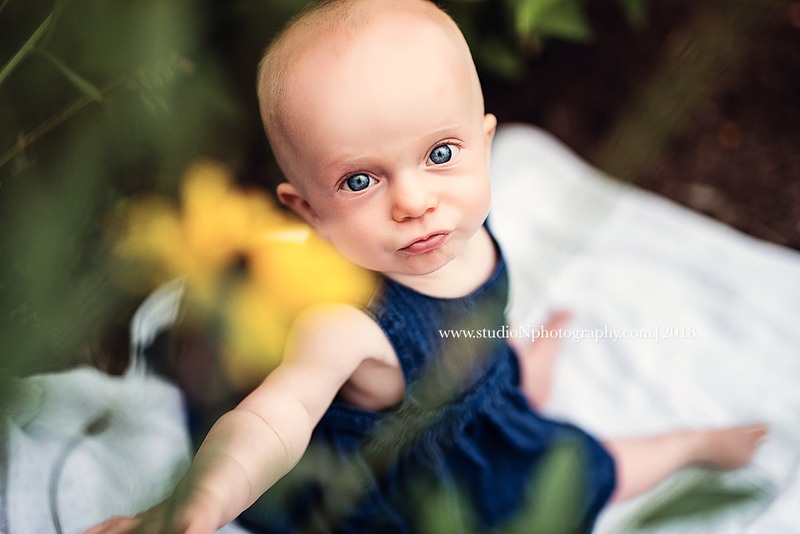 I had so much fun looking at your babies while editing and noticing all of their little features that remind me of you! Next time I hope to get to meet dad and so much time won't have passed before we can catch up again!! Cheer pic for good measure (she's gonna kill me ;)). That's me front row on the left - I had Mono for what felt like 3 months before they diagnosed what was wrong with me, so the start of my Sophomore year was a little rocky. That's Allison on the right, front row. This photo is great! 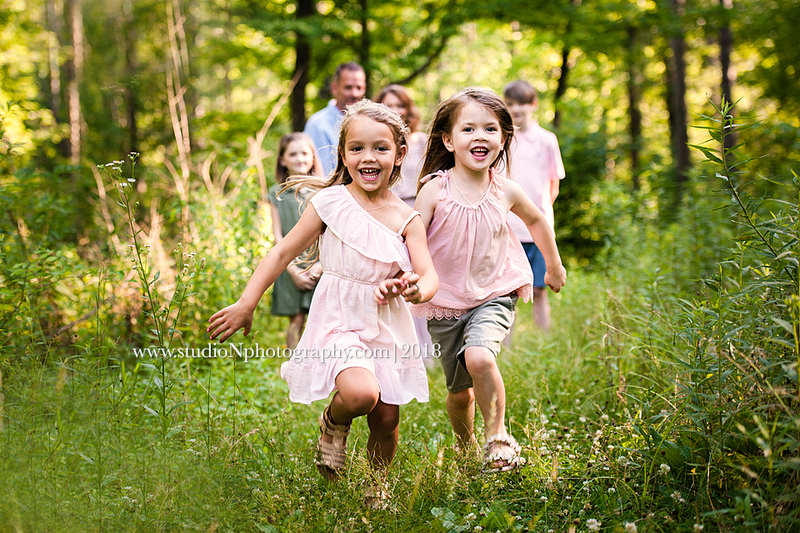 Also, I've photographed 5 of these girl's families over the years...how awesome is that? Alice and Bruce are best friends that live in an old firehouse turned Art gallery, wood shop, artist studios, educational makers space and their home! Alice's parents founded Wave Pool Gallery in wonderful Camp Washington and are pillars in the art community as well as some really friendly faces you will often see in the neighborhood! We've all become fast friends and look forward to our community continuing to grow. 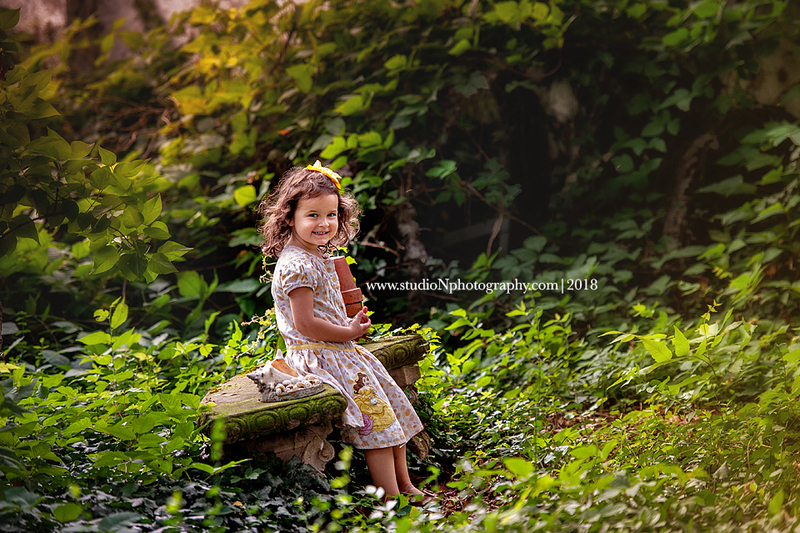 We photographed Alice just before she left to spend her 4th birthday in Sardinia, Italy with her parents while her momma is doing and artist residency! This is a kid after my own heart, celebrating birthdays on vacation is my kind of party! 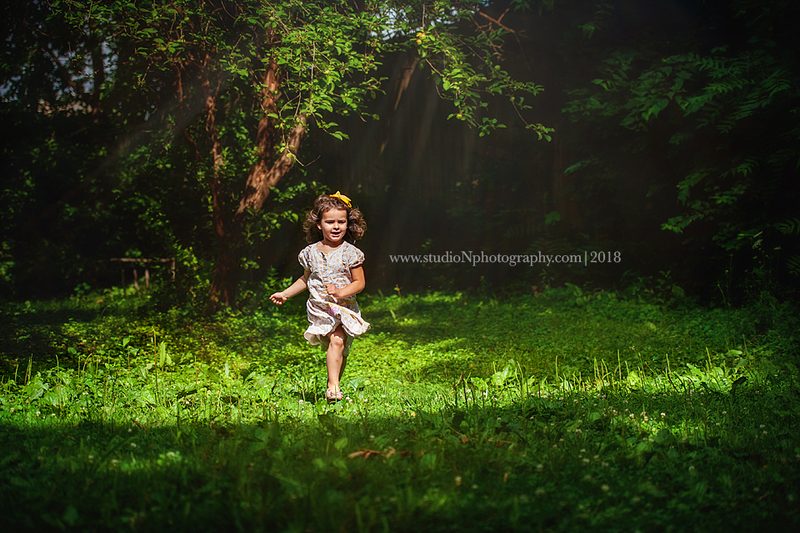 We chose to photograph Alice and her pup in their neighborhood and in our new Neighbor's yard where Alice likes to play, pretend and explore. We started the session at the Razzle Camp mural on the side of Wave Pool Gallery. A collaboration with ArtWorks, Wave Pool Gallery and Heartfelt Tidbits to celebrate the refugee community living in Cincinnati. Artist Christian Davies worked with refugee families to create the design. 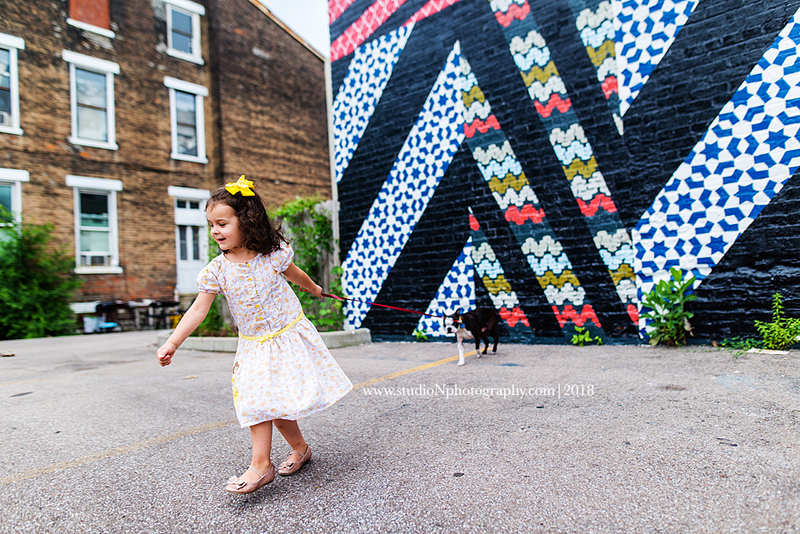 The design comes from a pattern of different traditional textiles from the countries represented by refugees in Cincinnati. We then moved to our new Camp Washington resident and friend, Andrew's home. Andrew is a photographer who recently moved into a really gorgeous home near the gallery with a beautiful garden and gated yard. Alice had her run of the place so I just followed along! After our session and before our lunch at Camp Washington Chili (where we discovered they have a chili melt, OMG!! ), we stopped at the Camp Washington Neighborhood Center to talk to WCPO about the USPS worker Shortage, missing mail and how the community has been affected. Alice in true form, as I have seen her many times at many events, entertained herself. While mom was giving an interview she walked over to this little stoop and started looking through her new Italian workbook from her friend Andrew. She sat until it was done and we headed off to lunch! 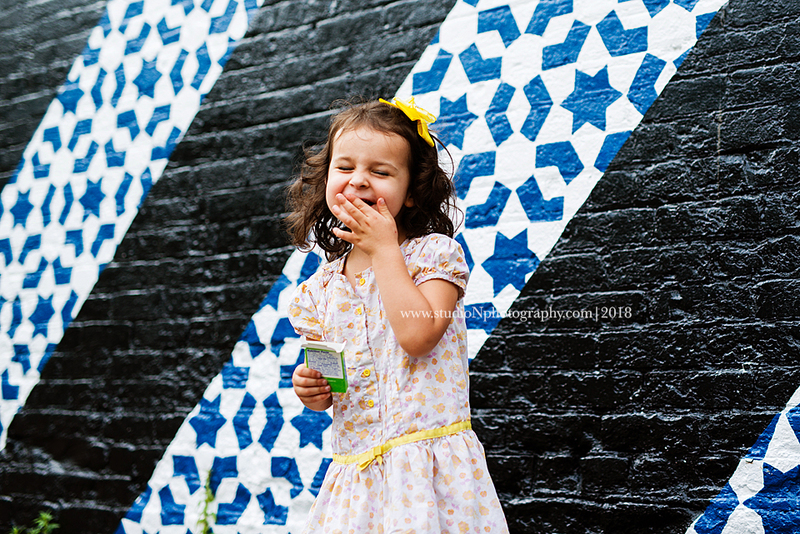 Such a wonderful family, community and sweet spirited little girl! So glad we got to capture this milestone age. Before you know it she will be off to high school and leading us! I'm enjoying your adventures in Italy on social media and we look forward to having you all back home! 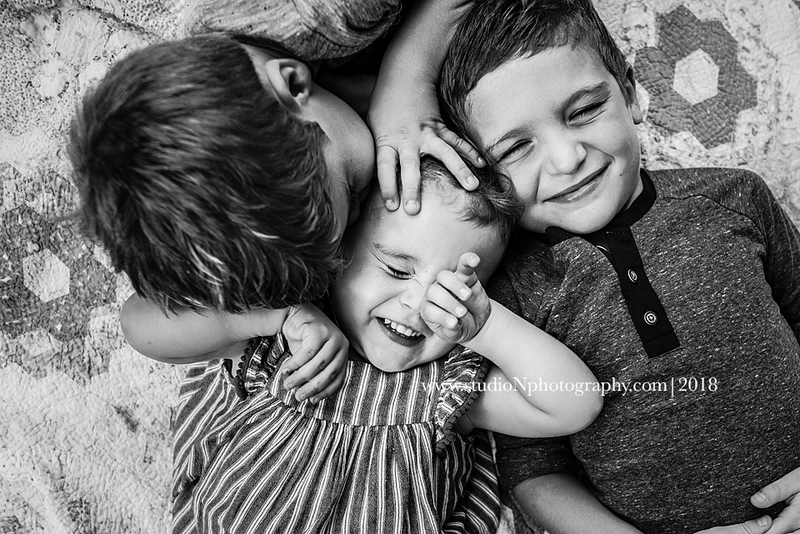 It's always a mix of emotions when a fellow photographer contacts you to photograph their family. I am flattered, then panicked, then excited and then panicking again! 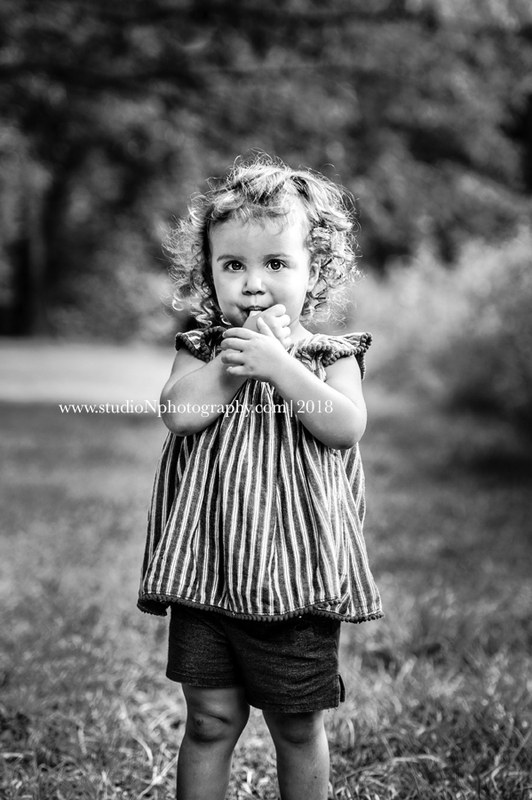 Sessions with other photographers can go many different ways. 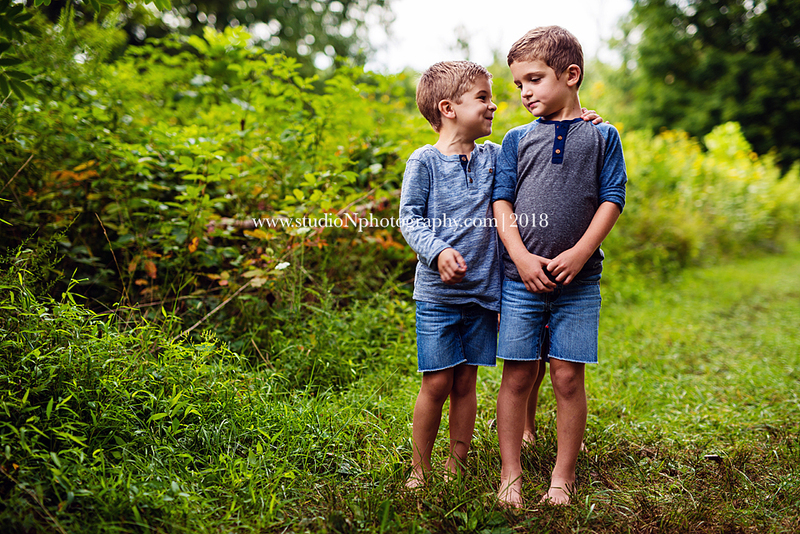 I have to prove myself as a fellow professional, that yes, indeed their children (and hubby) are going to cooperate with me, I am indeed a magician in that realm and that they are going to love their photos. All while trying to be the most creative I possibly can be, showing my super powers as a photographer and artist, making everyone comfortable and happy and enjoy themselves (which if you are a kid of a photographer, the last thing you probably want to be doing is having your photos taken....again). It's a roller coaster! 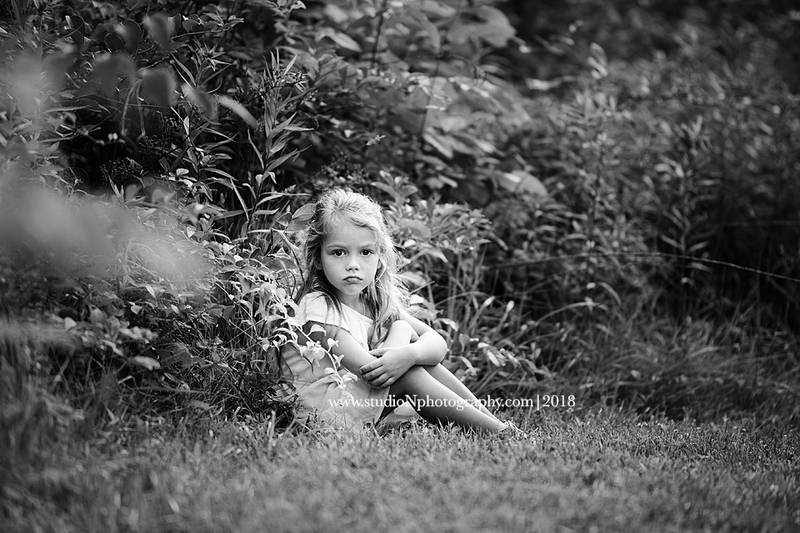 Being on the other end is also exhausting as a photographer having your family photos, wedding photos, any photos done! Did I pick the right thing to wear, are my kids going to listen and behave, do I look ok (really I should know how to stand, I pose people all day long, why can't I do it backwards? )...it goes on and on. But in the end we both end up so happy and wondering what we were ever worried about in the first place! 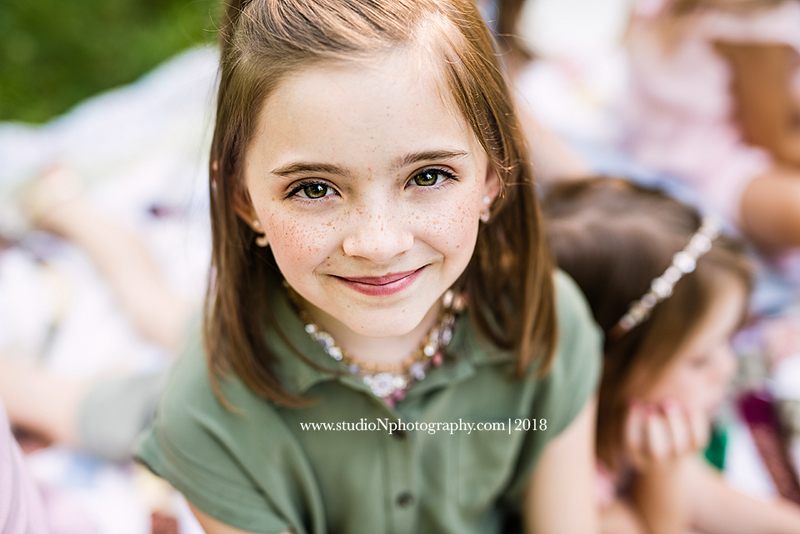 So when Lisa from Hezlep Photography emailed me last Summer about getting on my books I was both thrilled and terrified! 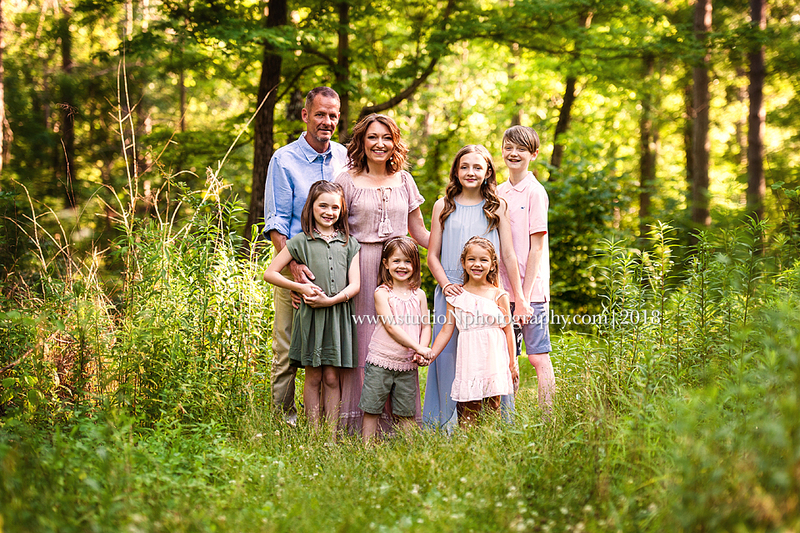 Yes, it took us a while to get together for a session but the Hezleps were busy adding two special little ladies to their roster and once it was official we booked that session and made it happen!! We got delayed a few days because of rain, but I'm so happy we waited for a dryer day and things to cool off! 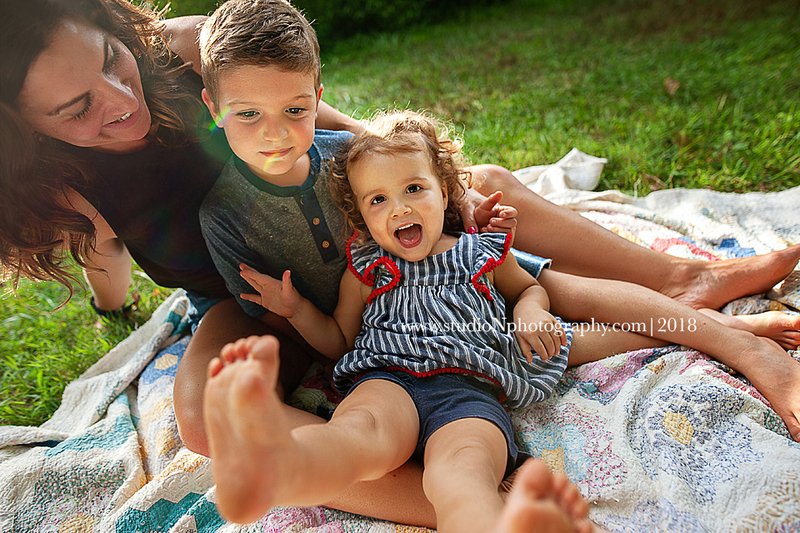 The light, the location, THIS FAMILY! OMG. Perfection. So much love, so much fun and so much goodness...It was such a treat to meet everyone and make these memories for your family!!! 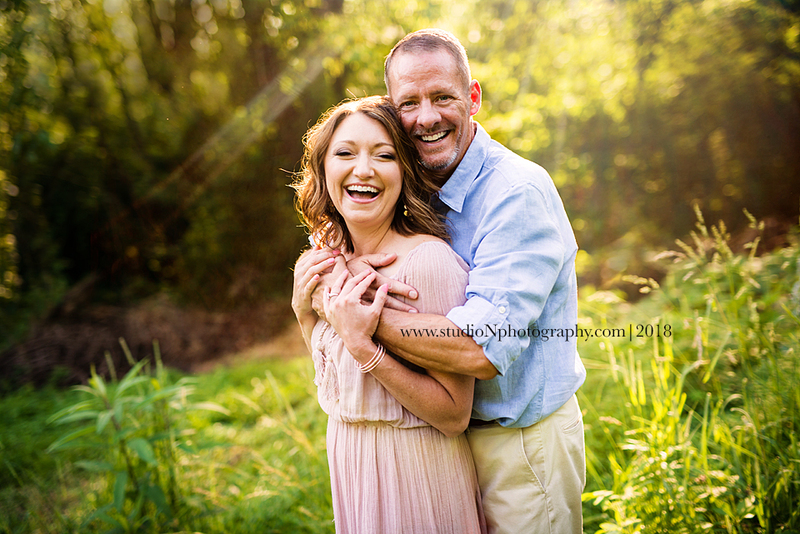 Disclaimer: The other hard part about photographing another photographer is narrowing down photos for posts and their gallery...sorry in advance Lisa, I don't know how you will pick because I couldn't either!! :) more to come. Thanks for inviting me into your lives for the day. Every year since Ben's first birthday his Nannie and Paw Paw bring him to see me for his birthday photos in Cincinnati! This year we chose the American Sign Museum for our location and it was the perfect spot to let this spunky little guy show us his personality! I love watching these kiddos grow! Hey Ben, stop getting so big! Happy Birthday little buddy! Sure had fun with you! Hope you enjoyed your Tootsie Pop! You worked it for that treat!